Your commercial roof is constantly under threat of harsh elements, but storm damage is usually repairable. There are moments, however, when you might wonder whether you should get a replacement instead. Have a qualified roofer assess the extent of damage your roof has sustained. If you performed cursory evaluation prior to the professional inspection and saw nothing alarming, it doesn’t necessarily prove anything. A roofer might uncover hidden red flags that suggest that the situation is worse than it seems to the untrained eye. Sometimes, a renovation roofing project is costlier than a total replacement job. Ask a professional about the cost drivers of the improvement to understand your finances. Many property owners make the mistake of presuming that the bill is only comprised of the cost of materials. Labor and any necessary permit are expenses that would also be added to the bottom line. In addition, prepare for contingencies. When budgeting for your roofing project (repair or replacement), it’s wise to set aside about 20% of your funds to absorb any additional work. It might make a hole in your company’s coffers, but it’s better to be ready than to cover surprise expenses in the middle of construction. If you’re scheduled to buy a new commercial roofing system soon, a major repair might not be a reasonable use of your resources. Even if it’s not leaky, an old roof has to retire at the end of its service life. Roofing systems don’t live forever, and it’s unlikely to successfully extend an aging one’s life span when it’s already in its last tour of duty. Beyond its perceived life expectancy, it’s bound to fail sooner than later. 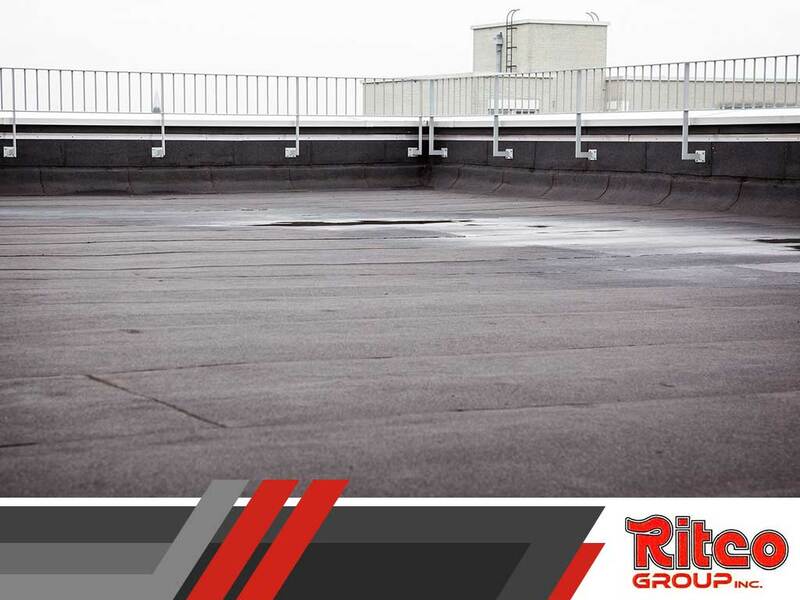 Let Ritco Group give your commercial roof a general checkup to assess its condition after the storm. Call (931) 208-2300, or fill out our contact form to schedule your free inspection. We serve clients in Brentwood, Murfreesboro and any neighboring Tennessee communities.